Happy Easter and here's to a great season! We have arrived back in Italy from our home in Australia and are starting preparations for our hiking season which kicks off in May with our tour of the Italian Lakes. If you are joining us this year, please don't forget that our website is full of useful information on Kit and Packing Tips, Holiday Reading and Getting Fit for the Hike. As we said last month, our 2020 dates are now confirmed and published on the website but we still have a few spots available on the following tours for 2019, so if you are interested in joining us this year then please get in touch now! We wish all Hedonistic Hikers a Happy Easter and, if you'd like to enjoy Pasqua the way the Italians do, try the Colomba. This is a dove-shaped bread which is light and buttery, covered with sugar crystals and almonds and filled with candied peel. Buona Pasqua and Buon Appetito! 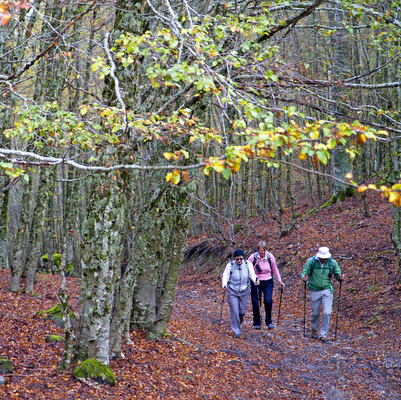 Do you have a favourite season for hiking in Europe? 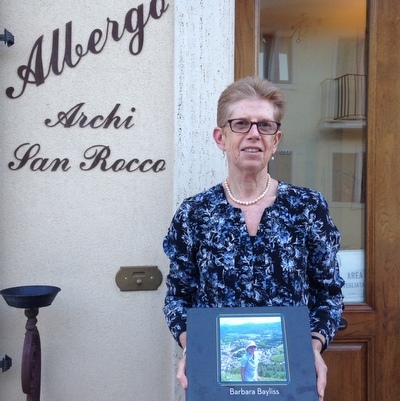 Meet Barbara Bayliss - a Hedonistic Hiking legend! This year Barbara will notch up an incredible 19 tours with HH. Will you be passing through Milan this year? 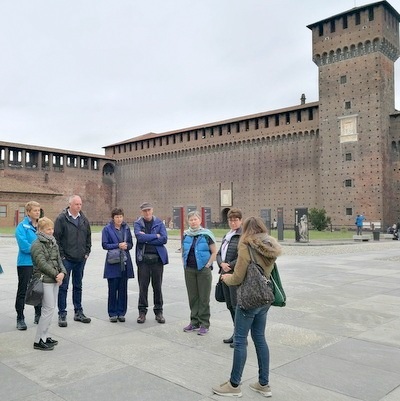 To mark this important anniversary, the Sforza Castle in Milan is hosting three different exhibitions dedicated to the life and work of this Renaissance master. The exhibitions open from May 16 and tickets cost €10 per person.